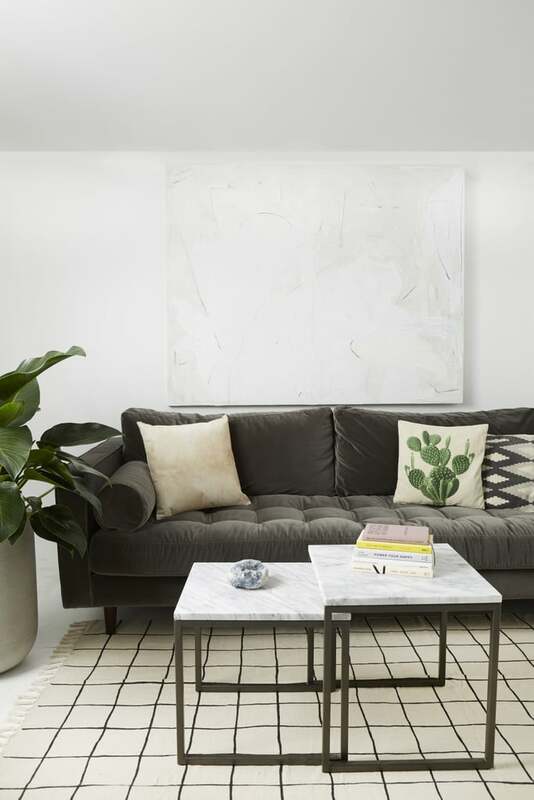 Looking for home improvement inspiration to truly set your space apart? 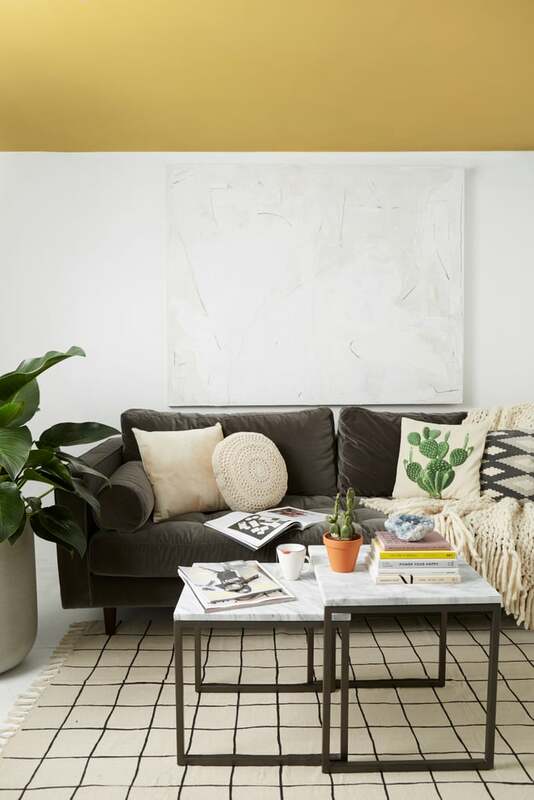 We've partnered with BEHR® to show why every surface in your home is worthy of an upgrade. We think of a room as being four walls of opportunity. We can add color to those walls with paint, art, or furniture and when that's complete, we usually call it "done." But there's actually one more "wall" that you've neglected — and while it's not great for art or furniture, it is perfect for painting. It's your ceiling! With some added color, it can easily offer the biggest design impact in your entire space. Now, despite what you think, painting your ceiling does not have to be difficult or pull-out-your-eyebrows-frustrating. 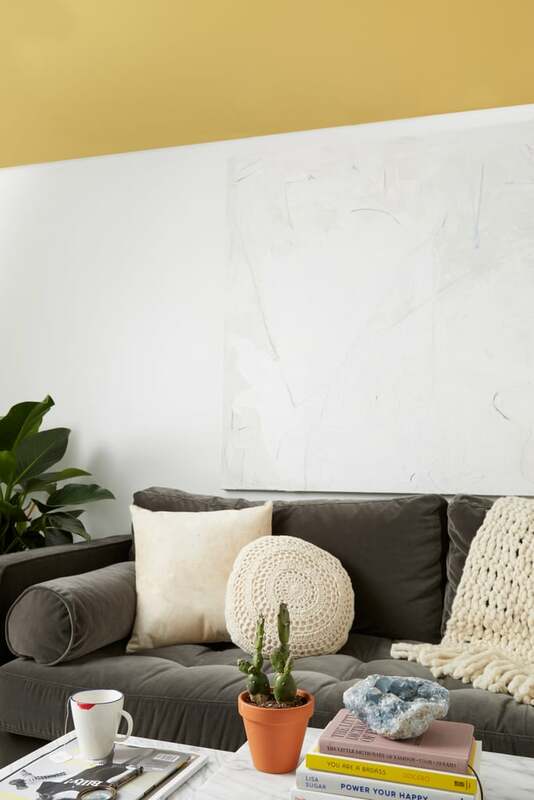 With the help of BEHR MARQUEE® Interior Paint and a few supplies from your hardware store, you can have this done in an afternoon with plenty of time to pour a glass of wine, grab a seat, and look up to admire your new view. When selecting the color for your ceiling, there really aren’t any rules. Remember though, as with any paint color, you can alter the color cast of the entire room with the shade you select. (Imagine the yellow cast you might get in a room if you painted all the walls with yellow paint.) With this in mind, if you want to maintain the quality of natural light try a sunny yellow shade. BEHR®’s Dandelion Wish is perfect, since it adds noticeable color but won’t be disruptive in how you experience natural light in your space. Next, protect the floor of your space with drop cloths. You should also remove as much furniture as possible. Any furniture that must stay in the room should also be covered with a drop cloth. While you’re at it, open a window or two to help with ventilation and get comfortable climbing standing on your ladder. Apply painter’s tape along the top perimeter of the walls to make sure your lines stay crisp. If you’re very comfortable with an angle brush and roller, you may be able to forgo this step and rely on your steady hand and discerning eye, but we like to play it safe. By tackling the outer edges first, the rest will be a breeze. 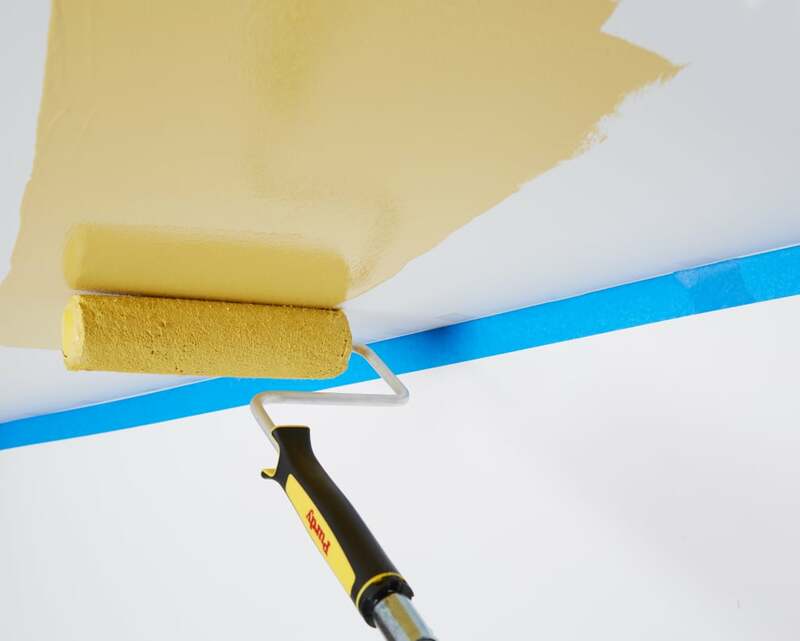 Fill in the remainder of the ceiling using a paint roller. Since the trim is already done, this part will go quickly. 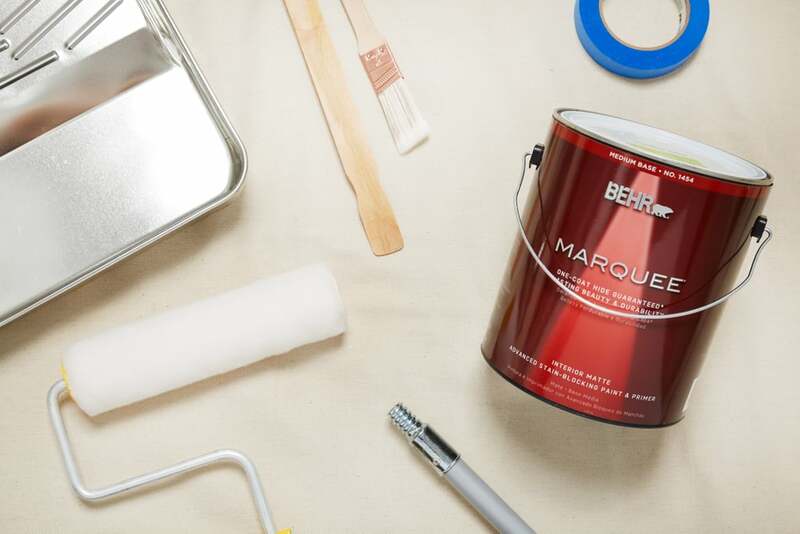 And with BEHR MARQUEE® Interior Paint's guaranteed-to-cover-in-one-coat colors, you’ll have this project done in a snap! Check out the impact of this simple DIY! Now get ready to experience and enjoy your space in a whole new way.